Price includes $2.99 for shipping and handling. Frankie can fix anything--except her own relationships.. Looking to move on after his wife’s death, Dr. Logan Wells relocates his optometry practice to Wyoming, home of his favorite childhood memories. By doing so, he incurs the wrath of his former mother-in-law who threatens to sue for custody of his ten-year-old daughter, Harper. 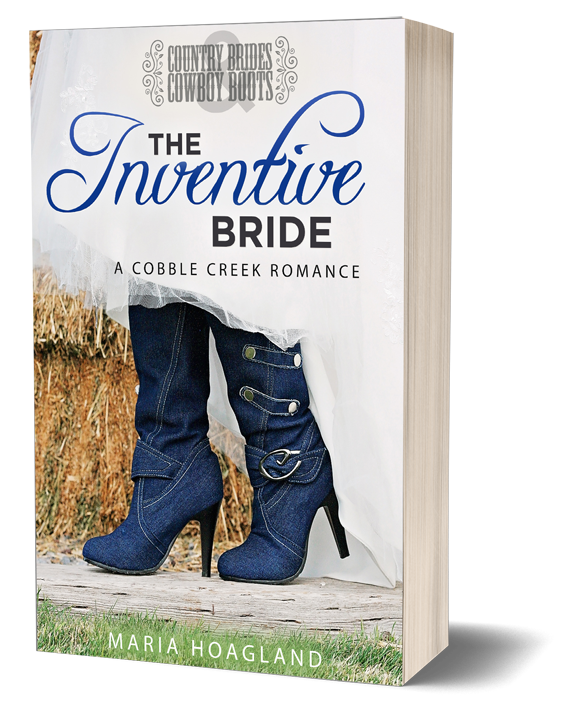 Despite the lawsuit hanging over him, Logan is determined to find joy for the two of them as they settle in the idyllic small town of Cobble Creek. Local business owner, Frankie Lawson knows the inner workings of clocks and pianos, but not those of her own heart. She’s never been one to shy away from a project—unless that project is a romantic relationship for herself. A pro matchmaker of antiques and owners, she tries her hand at fixing up Dr. Wells with an old friend. The trouble begins when she realizes she’s made the wrong match and Logan was meant for her. If you'd like a signed paperback, click the "Add to Cart" button on the left. ​If you prefer an ebook or audiobook version, click below. Thank you! ​A participant in the Amazon Services LLC Associates program. This website may be compensated for linking to other sites or for sales of products we link to.